The Holiday season is almost here! Join us in the upcoming weeks for a festive run of events and parties! 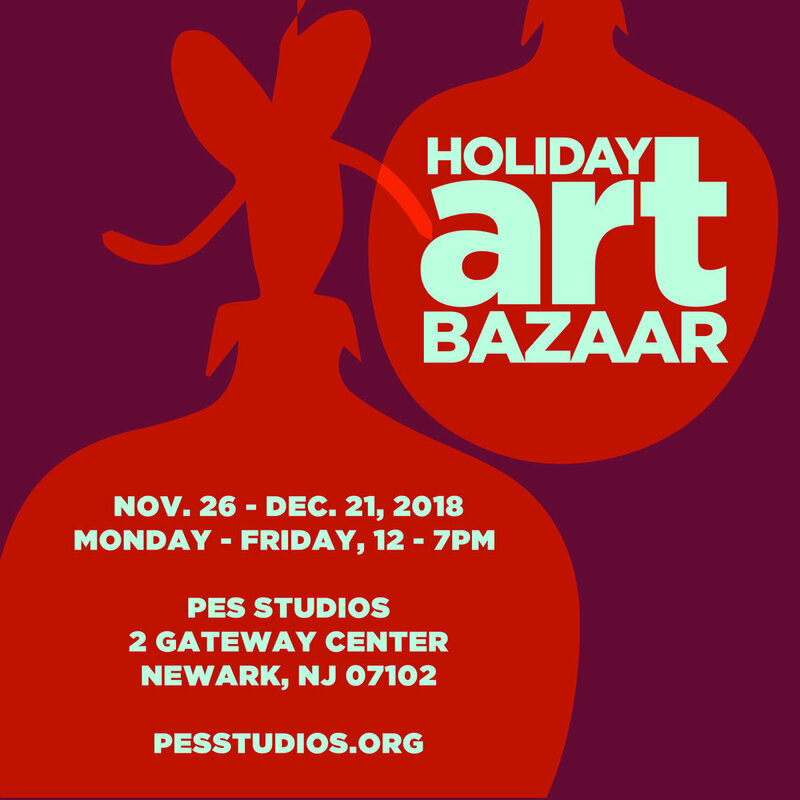 November 26th we are thrilled to launch our second annual Holiday Art Bazaar with four weeks of creative vendors, performances, holiday treats and more! Stay tuned for vendor announcements, programming, and our end of the year Holiday Party December 18th, 6 -9 pm! We hand select local artists and creative businesses to sell handmade, original merchandise in a curated shopping experience. Nurture your inner creative by shopping our selection of art supplies or grab a one of a kind artist made gift! Project for Empty Space, Museum Hue and Cotidiano Cafe! The Holiday season has arrived! 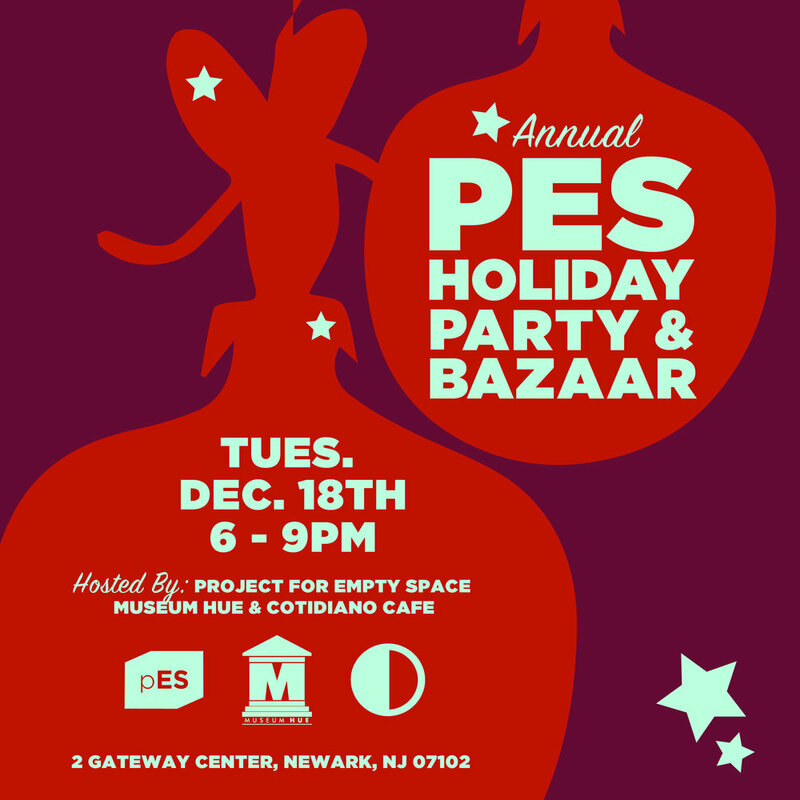 Join PES, Museum Hue, and Cotidiano Cafe, on Tuesday December 18th for a very merry Holiday Art Party! Sip on toasty seasonal cocktails, shop from local artists, make festive ornaments, and dance to holiday beats and good company! Museum Hue is a multicultural platform for diversity, advancing people of color within arts, culture and museums. Museum Hue offers digital and onsite tours, talks, trainings and active learning opportunities to engage all people around culture, community and careers. Their robust membership is a community of practice, growing, learning and reflecting ideas of intersectionality, inclusion and equitable approaches within creative economy. Cotidiano Cafe is located in 2 Gateway, across from the PES gallery, and proud partner for special community events. Opened in August 2015, Cotidiano is a cafe grounded in the idea that using the best ingredients should dictate the menu and that everything should be made fresh daily. Working with farms from New Jersey, New York, Pennsylvania and Long Island, every item is organic and locally sourced and dairy products are hormone free and cage free.